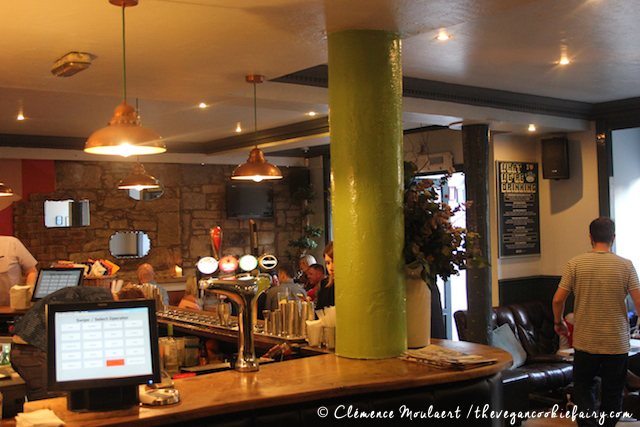 I’m back with another fantastic veggie review for Vegan In Scotland — this time, I’m taking you to the cosy and chic Treacle in Edinburgh. If it wasn’t apparent from my emotional monologues in previous blog posts, I adore this city, and I’ve been keen since I moved here to find out all the best veggie spots to eat and shop at. I very nearly moved to a quaint flat in Broughton last year but settled for the West End after all — if I hadn’t, I would have been right next to Treacle and undoubtedly would have made it my local weekend hangout, because this place is wicked. Treacle has recently been given a veg-friendly menu makeover so you can now find plenty of vegetarian, vegan and also gluten-free options on their menu. I spotted about half a dozen vegan options alone (sadly not in the dessert section, which is, you guessed it, always the first part of the menu I read) but the friendly staff are more than happy to accommodate any allergies or dietary requirements you might have. I arrived with a friend on Saturday night after having enjoyed a performance at the Fringe Festival, and naturally we wanted cocktails. That tall hot drink was my Eastern High Tea (because GIN) and my friend was served this cute little tin of Blue Collar Julep (not vegan – it contains honey). We sipped as we perused the menu. We took in our surroundings while we waited for our starters. Having never been inside before — but passed the bar plenty of times — I was pleasantly surprised. If you could take your living room and turn it into a bar for you and your friends, that’s what Treacle would be: cool but relaxed, with a crowd of mixed ages, Treacle is furnished with cosy sofas by the windows where you can catch up with your friends (and your dogs!) over a cocktails, tables in the left corner for those who want a more private conversation over dinner, and a couple of TV screens that showed re-runs of the Fresh Prince of Bel Air. There’s a definite hipster vibe, but you know what — the place is too warm and inviting for anyone to mind. You feel right at home at Treacle. Plus the food is banging. Heavily inspired by Vietnamese flavours, the menu features starters such as Sesame Roasted Cauliflower with Sweet Chilly Soy Mam Chay, and the best Bean and Quinoa Fritters I’ve ever tasted in my life. I’ve tasted some pretty bland vegan starters in my life (including a plate of raw cucumber and tomato that was presented to me as a meal) but these two dishes were flavoursome, wholesome and nourishing. We could hardly wait for the mains to arrive. 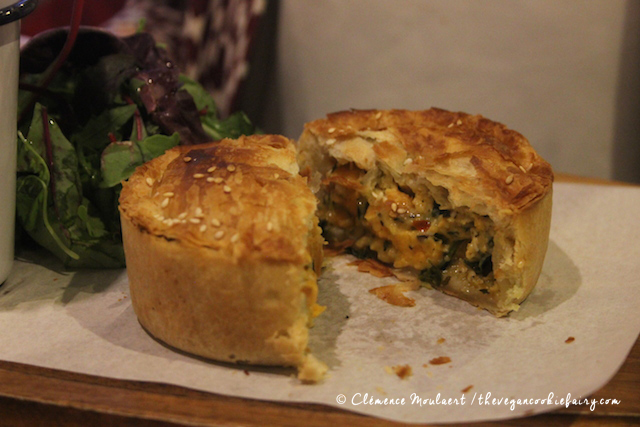 Asian flavours might influence the menu but this is still Scotland, so you can find a range of pies on the menu, served with chunky chips and salad on the side. My friend had the vegetarian Sweet Potato, Spinach and Goat Cheese Pie — a little heavy perhaps for the glorious summer weather that day, but deemed delicious by her anyway — while I chose a vegan Bahn Mi, a type of Vietnamese sandwich that I’d heard about before but never tried yet. When that monster of a sandwich arrived, I could hardly believe the size of it. It was monster sized! There was nothing else for it: I wiped off my lipstick and tackled that beast, mouthful by mouthful. 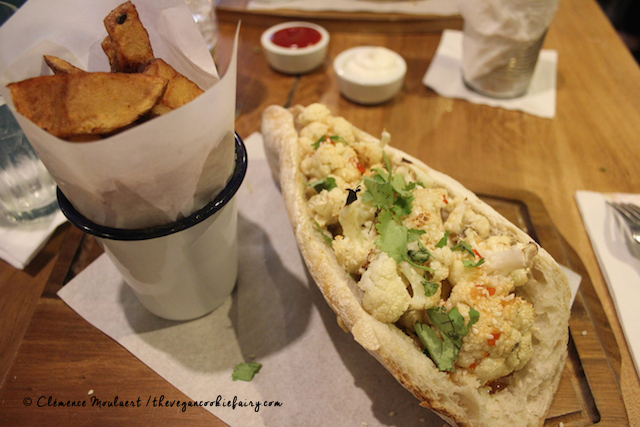 I never would have thought of filling a sandwich with roasted cauliflower, but it worked surprisingly well; the best part of the sandwich was the layer of thinly sliced vegetables marinated in sweet chilli dressing at the bottom, flavouring the crunchy bread around it. Neither of us managed to finish our huge meals — as my friend put it, she was full up to her eyeballs. Waved goodbye by the staff, we left the restaurant at sunset, feeling full and nourished both in our bellies and in our souls. I can’t wait to go back to Treacle, maybe for breakfast or lunch. It’s the type of place that lends itself to lots of occasions — brunch with your besties on a summer’s day, laid-back lunch with mum and dad or cocktails and nibbles with your friends after a show. 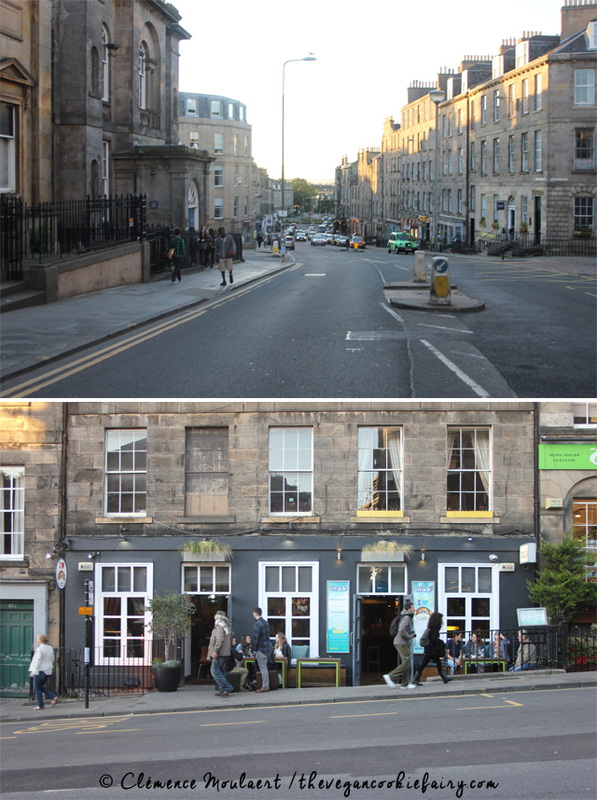 Another gem in the heart of Edinburgh. I take every opportunity that comes my way to brag about Edinburgh. I took a few detours on the way home and snapped these shots of my gorgeous, gorgeous city. Disclaimer: I was invited to try out Treacle’s new menu and the meals were complimentary, but as always all opinions are my own, and I think Treacle’s fantastic. « Vegan Aquafaba Chocolate Mousse – 3 Ingredients! Can’t wait to try all your foodie suggestions! We leave for Edinburgh in 3 weeks and are going to get to see a whole lot of Scotland, Wales and Britain! So Excited!!! !